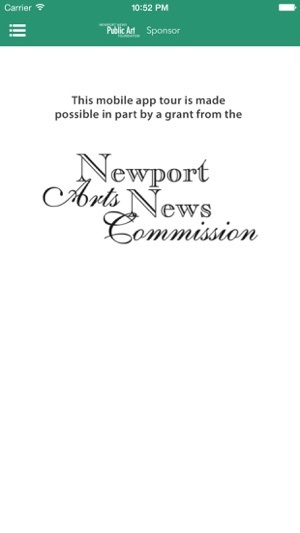 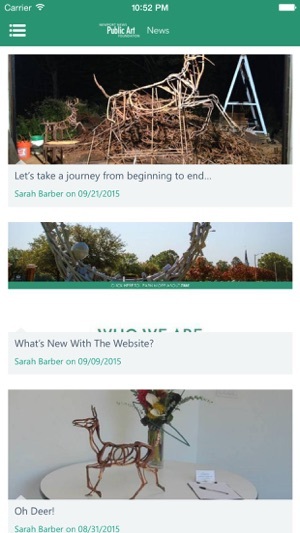 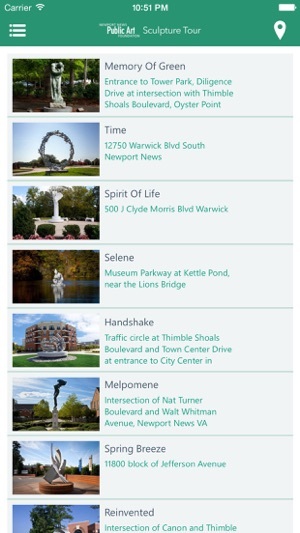 A guided tour of some of the major Newport News, Virginia works of art - on your smart phone. 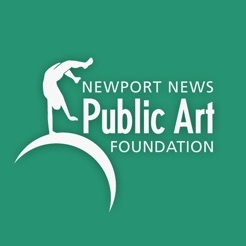 One of the best ways to enjoy art is to listen to the artist talk about a work, about why and how it was created, about what the artist was thinking and trying to accomplish. 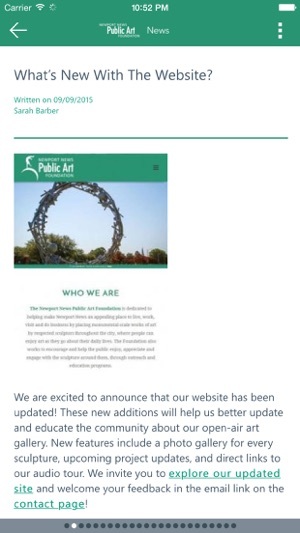 A personal "tour" with the artist is only a download away.